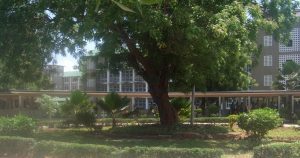 Muhimbili National Hospital is the only academic hospital in Tanzania. They also have the only Dental school and training program in Oral Maxillofacial Surgery in the country. 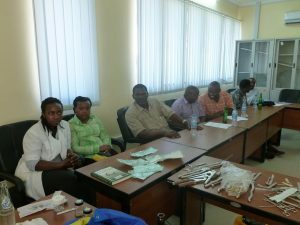 The hospital is located in the centre of the country’s capital, Dar es Salaam. Approximately 20 dental students graduate each year. The department of Oral and Maxillofacial Surgery is part of the Academic Hospital. The department can only use operation rooms three times a week, provided that electricity is available. The clinic’s facilities were somewhat limited but previous donations, from the IAOMS foundation and the MKA foundation, have improved the conditions considerably. Last but not least a generous donation by the Nina Harris Pebley Foundation has it made possible to add a new operating room, two consultation rooms and a staff room suitable for educational activities. Dr.Jeremiah Moshy is in charge of the department of Oral and Maxillofacial Surgery. In addition there are three senior Oral Surgeons, Dr. Kalyanyama, Dr. Shubi and Dr. Elison Simon, four junior staff members and residents in training.